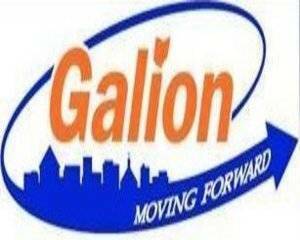 Learn more about downtown Galion revitalization grant today at noon, 5:30 p.m.
GALION — The City of Galion and Experience Galion will conduct two Downtown Revitalization Grant kickoff meetings Wednesday, Dec. 6. Property owners and business owners within the grant target area are encouraged to attend. Noon at Galion Public Library, 123 N. Market St.
5:30 p.m. at Christ United Methodist Church, 130 E. Walnut St.
During the meeting, those who attend will learn more about the Downtown Revitalization program and the project application process. Property and business owners will have a chance to meet representatives from the Ohio Regional Development Corporation, which will administer the grant. Grant funding for projects will be available on a dollar-for-dollar matching basis. The purpose of the grant is to encourage building improvements in downtown business districts. Eligible projects include, but are not limited to: Facade improvements, roof replacement, HVAC system repair or upgrade, tuck pointing, window replacement, electrical upgrades, plumbing repairs and handicap accessibility. Monies must be applied within two years. Thirty-six interest forms from building owners were submitted with the grant application last July. However, all building owners within the target area may apply for project funding even if interest forms were not previously submitted. Building owners who are unable to attend either meeting should contact the City of Galion at 419-468-1857 for information.